WFA 2.0: Backup role user cannot login to portal. 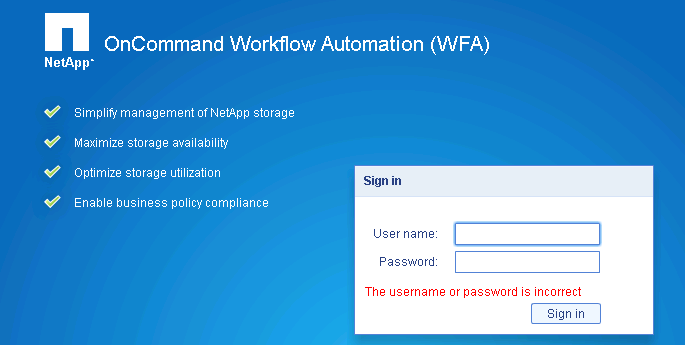 All other users roles works except backup while logging into WFA portal. Re: WFA 2.0: Backup role user cannot login to portal. (unfortunately it seems this feature is broken in 2.0... - I've filed a ticket for this). According to the WFA design, we can only create a backup user through WFA UI portal, its function is to only take backup directly from the WFA server as mentioned by Micheal. This user cannot log into WFA using the user interface and can only perform the backup task.